Twenty three countries. 800 delegates. 15 keynote addresses. 127 technical sessions. 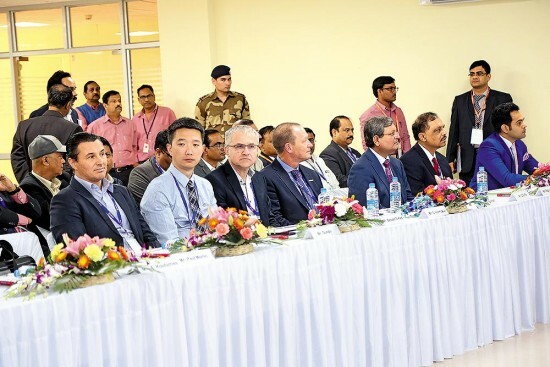 In scale, sweep and scope, the seventh International Conference on Aluminium (INCAL 2019) organised by the Aluminium Association of India (AAI) in collaboration with the Ministry of Mines in Bhubaneswar was bigger than its previous editions. Industry captains, policy-makers, technologists, academicians, researchers and stakeholders from across the globe converged for three days to brainstorm on pertinent issues plaguing the industry. It was appropriate that INCAL was organised here because Odisha has the biggest bauxite reserve in India and produces nearly 60% of the domestic aluminium. As Ajay Dixit, CEO (aluminium and power), Vedanta, said that the state has the potential to emerge as the aluminium capital. Oodisha’s Industries secretary Sanjeev Chopra added it can become the aluminium hub of Southeast Asia. “Odisha has witnessed a seven-fold increase in aluminium production in the last one decade”, which “is estimated to double in the next five years”. The focus is on converting at least 50% of the aluminium produced in Odisha into finished products. Dr. Tapan Kumar Chand, CMD, National Aaluminium Company (Nalco), who doubles up as Chairman, AAI, set out the three major objectives of the conference -- promoting aluminium as the ‘metal of the future’ globally, making aluminium the driving engine of growth and development in India, and promoting Odisha as the aluminium capital of India and aluminium Hub of South East and South Asia. Given the rich reserves and excellent eco-system, it can become the choice destination for investment in upstream and downstream units. The conference took place when the global market is going through hard times with prices falling and production costs going up. Union mines secretary Anil Mukim set the Indian context by focusing on the challenges of scaling up production from the current 3.4 million tonnes per year to 10 million tonness in the next one decade. Emphasising the point that India has so far explored only 17% of bauxite reserves, the fifth largest in the world, Mukim outlined the steps taken by the government, like formation of a National Mineral Exploration Trust (NMET), and allowing 100% FDI. Dr. Chand called for formulation of a National Aluminium Policy, on the lines of the National Steel Policy. One of the key areas deliberated on was the extraction of iron from the red mud produced during bauxite mining. It contains 25-30% of iron ore which can be separated. Nalco, the lowest cost producer of alumina and the second lowest cost producer of bauxite in the world, is doing it in a limited way in collaboration with Chinalco and Chaliaco. Global giants shared their experience of creating ‘wealth out of waste’. Since power constitutes about 40% of the cost of production, reduction in energy consumption is the key to make the sector competitive. State of the art technology in smelting and improved operational practices are areas that engaged the participants at INCAL 2019. There was particular focus on recycling aluminium since it consumes only 15% of the energy required for smelting and thus contains substantial cost savings, besides being environment friendly. The AAI, along with the global giants, is set to work on the recommendations of INCAL 2019, and formulating a future roadmap. Key areas include protecting the interests of the upstream, downstream, secondary and tertiary producers, bring down costs, and increase usage. Next Story : Mines Ahoy!